Mexico is in the sights of Mercedes-Benz to install a plant that distributes luxury cars in America. While investors are still analyzing it, the country has high growth expectations for the sumptuous segment. 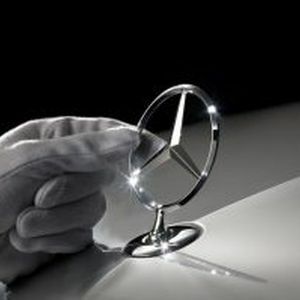 "For Mercedes-Benz, Mexico is an important country for luxury cars. It could not be less for the automotive industry. In over eight years we have been growing in double digits, we're doing very well. Mercedes-Benz sees Mexico as an important market, "said Hugo Oliveros, Manager of Marketing and Public Relations for the German firm. Following the launch of its new segment of inexpensive compact luxury cars for younger clients, the GLA 200, the manager of Mercedes-Benz Mexico said sales this year will grow by 10% over the previous year. This represents being able to sell 9,500 units in a sumptuous market that has responded well in the last eight years. "We've done pretty well. In 2013 we grew 13% over the previous year and the truth is that we are happy to do well in terms of sales, "he said. Although some analysts mentioned the arrival of Mercedes-Benz to produce from Mexico is very close, Hugo Oliveros said "nothing is yet confirmed, what we know is what the German colleagues say. " If they choose Mexico, it would be the second luxury automotive plant.